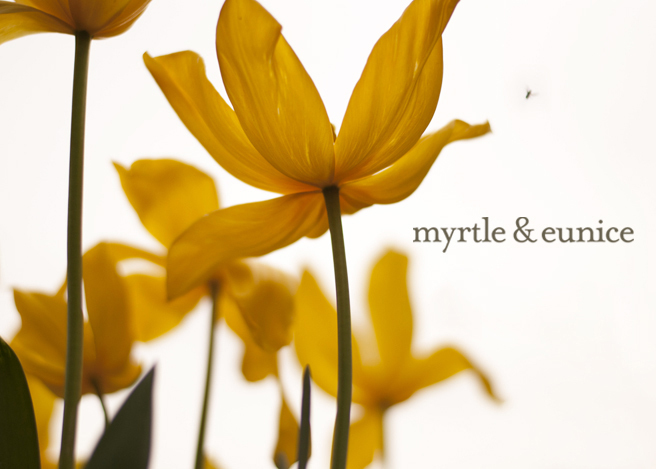 Myrtle & Eunice: Yee Har! We’re off to a bush dance tonight. It’s an all-in, from grandmas to toddlers, school fundraiser, dosey-do affair and I’m digging around for the matching gingham twirly skirt and the boot scootin’ footwear. 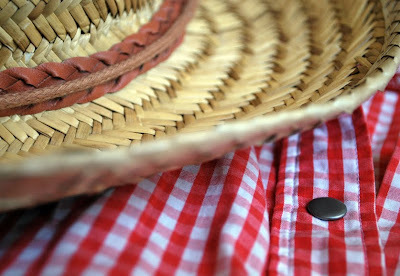 I LOVE a good bush dance and it promises to be an authentic affair, if the kid dress rehearsals are anything to go by. While the boy kid was appalled at the school Heel and Toe Polka practise, he was mightily impressed with the whip cracking. So, I’m sort of giggly excited with a smirky grin on my face. The first time I went to a bush dance was the first time I was kissed. I was twelve or thereabouts and after getting to grips with the Pride of Erin Waltz with a good-looking, impressively-grown-up (sixteen year old), wholesome, country type, we were waiting out the next dance in awkward non-conversation. Then, taking me somewhat unawares, he lurched at me and kissed my left eye. Over his shoulder, I saw with my right eye, the look of unmitigated disgust on the face of my ten year old brother – which is what’s prompting today’s smirky grin. The relationship came to an abrupt end that very night. It turned out the First Kiss Guy had an equally grown up, fairly identical twin, dressed in almost-matching cowboy duds. Imagine, if you will, a progressive barn dance and the unfortunate circumstances that may arise from dancing with a boy whom you thought just kissed you on the left eye, but didn’t and then some way around the circle later, dancing with the boy whom you thought regretted kissing you on the left eye, but didn’t, but did now. this sounds like fun! i love the kiss story, especially your brother's reaction. having 4 brothers myself, i understand the smirk completely!! Good heavens – who said blogs had to be revealing...? As far as first kisses go that seems to have been, if not a little awkward, at least without a deluge of spittle. Kick up your heels tonight girlie. Ooooo yeah.....I remember my first bush dance, the holding of the very sweaty hand!!!! I think I may have even had my first FAG at a bush dance....bloody hell thank god I gave those the flick!!! I love love love bush dancing! Such a cute first kiss story. Mine is so gross, I can't even bear to think of it. YUCK! Crumbs . The entire M&E family doing the polka farm-style ! This I'd like to see . Have a wonderful time !! What a great story, gave me a good giggle. Have a wonderful twirly time of it! So is the plan today to all squish on the couch with your five pairs of feet up, resting after too much boot-scooting??! As for the kiss story, I tell you Mrs, you could write a book about your life! I can only imagine what a bush dance is but after reading your story i reverted from a 30 y/o to a 16 y/o with anxious butterflies in my tummy. Sweetness and cringibility all wrapped into one sweet blog post. I fonly my first kiss story was as good! You know what I love about your blog? You never know what your going to get but your guaranteed a good belly laugh (in my case stifled so as not to scare my fellow passengers awaiting a flight). I even forced the Mr to read it and he kinda guffawed - which for him is big. Brought back excellent memories of my first kiss at Expo '88 a few days after braces removal! It must be over 20 years since I danced the Pride of Erin with the boys from St Marys, but ah, I still remember the steps, and reading your entry makes me think a bush dance would be something worth persuing. Thanks for your first kiss story - you should start a group about that. Mine involves a short boy, a set of stairs and chewing gum. I think I preferred yours! Like: Strip the Willow and The Gay Gordons. Enjoy yourself and try to get kissed on the other eye may be? HI. You have been waiting a long time but we have finally been to Delft this afternoon and I did make pictures.We couldn't get there in the summer as the city was always so crowded and there are no more parking places in the centre. You have to walk a lot before you get somewhere.Today it was nice and quiet as you can see on the photo's.I am also going to post some on my blog. I hope your email address is still the same.I kept your letter all that time so that I couldn't forget. Have a nice day.